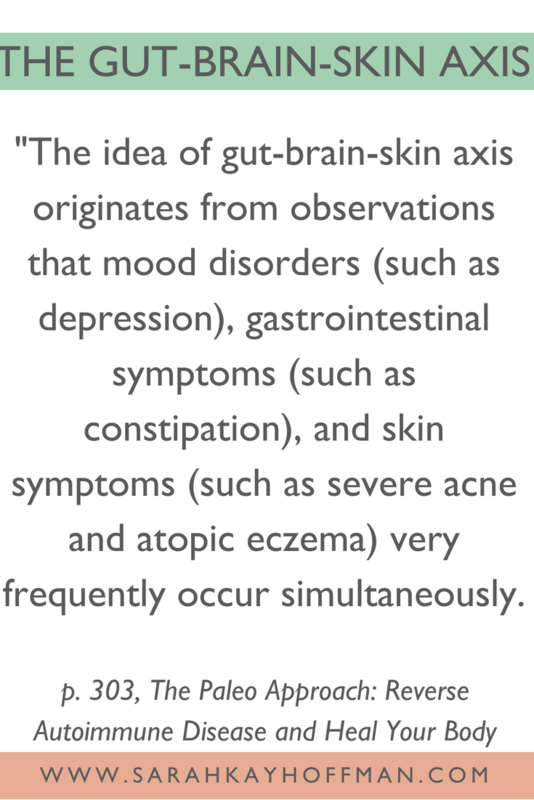 I did this because I had an outstanding skin issue, gut issues, and because I know fully that the gut-brain-skin axis is real. The gut-brain-skin axis is real, but during these past 30 days, I have done some real healing. But do you want in on a little secret? I used NO fancy products. There is NO skincare line, cream or product that can take the place of diet and lifestyle. I will promise you this. 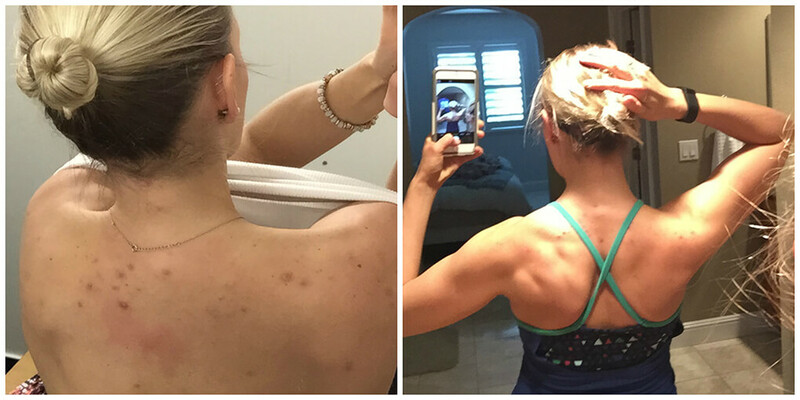 That said, my skin issue was not with my face, but instead my upper back. I know for a fact that maintaining an AIP lifestyle these past 30 days has helped my skin heal immensely. Just like when I shared pictures of the Perioral Dermatitis, I don’t enjoy showing any before pictures of this, but in order to give you hope, I must. On the left is BEFORE, taken around the beginning of January. On the right was taken a couple days ago. 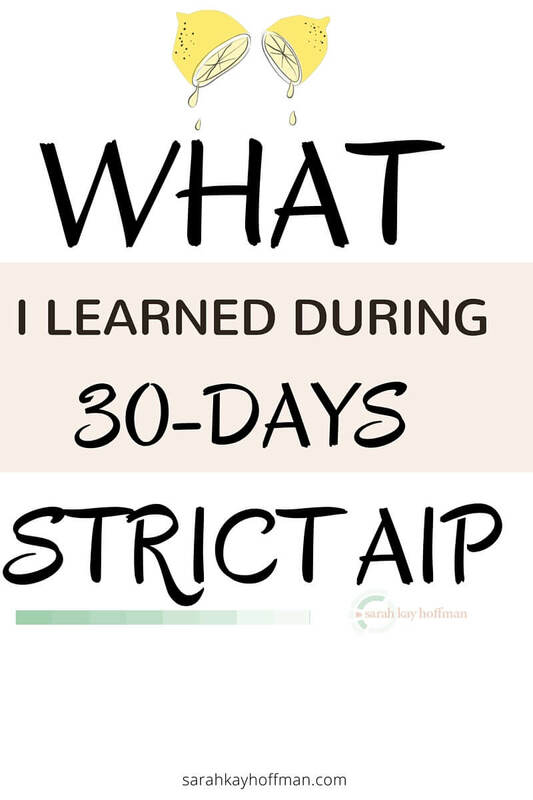 I am working on a post around all the things I’ve done to heal my skin, and of course, AIP played a huge part. AIP was great for my skin. See above. Enough said. Adding in was enjoyable. You looked at my (current) favorite AIP-approved foods list and thought, “No way. I could never do that.” For me, it was enjoyable. The biggest thing I cut was my beloved white rice, which I was eating a lot (and a few other grains). But anytime you cut something, you must add in other things. For me, it gave the opportunity to infuse even more greatness into my diet. One night, I made Sweet Potato Tater Tots and another night a Banana Cream Pie Cake (both need perfecting, but both were so awesome that I am working to get the recipes perfect for you). I have eaten a lot of butternut squash, sweet potatoes and greens galore. I have learned to put foods together in new ways, and I love it. More than AIP. 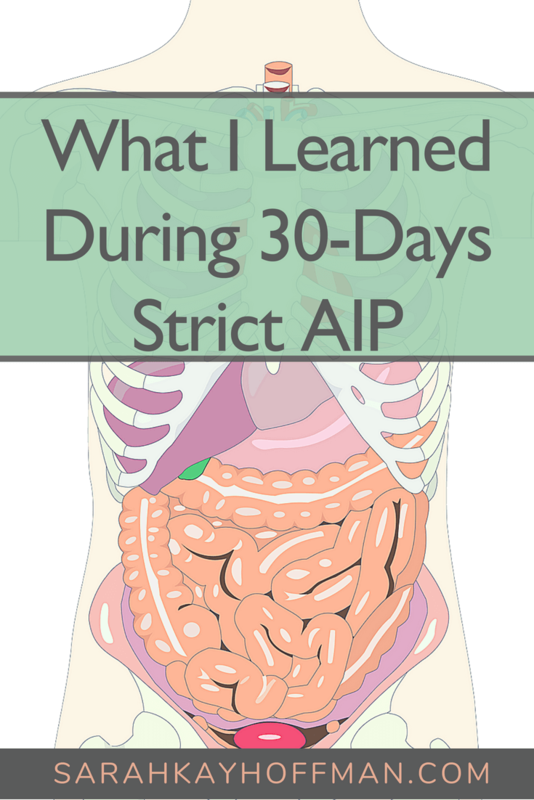 My body needed more than AIP, and while that might sound scary to you, it wasn’t at all. I mixed AIP with Dr. Sara Gottfried’s hormone book and my own insight to create the perfect 30-day mashup for myself. For example, grass fed beef is AIP, but I limited it to just a few times total during the 30 days. Most fruit is AIP, but I limited that, too. And more. Again, I infused my diet and lifestyle with other things. Don’t worry, friends, I never, ever, ever go hungry because that’s a sure way to continue destroying your hormones. Lifestyle. It really is more than a diet. I started tracking my sleep even more religiously via FitBit, and making correlations between sleep patterns, skin healing, and general day-to-day feelings (you can read about them HERE.) Additionally, I restructured my workouts. Less is more. Rest and sleep are a priority. 30 days are not enough. You saw above that my skin has healed a ton, but it’s not completely gone. I have realized that all of this healing truly is a marathon, not a sprint. What I am doing is working, and I am thriving! I feel great, I am satisfied and I am making some excellent progress. There is no reason for me to change anything. You have to put in the work, and you have to be very intentional about it. The road is not easy, but you get to choose which road you’ll travel for optimal health and wellness. To learn more about gut healing, grab my 286-page e-book, The Gutsy Girl’s Bible: an approach to healing the gut. Click HERE to work with me one-on-one.